Extreme weather events and climate change have shaped our Earth for over 4.5 billion years and they continue to do so today. Earthquakes, hurricanes, tornados, floods, extreme temperatures account for hundreds of deaths and billions of dollars in damage each year in the US. While controlling our planet’s natural forces is hardly possible, advanced scientific monitoring and increased education can help humans predict and better cope with extreme weather and disasters. In this post we’ll cover severe and expensive natural events over the last 365 days. Hurricane Sandy mercilessly slammed the Northeastern coast of the United States from October 28-29 2012. Shoreline residents evacuated their homes for higher ground as a 1,100 mile wide hurricane sped up the coast bringing with it damaging winds and 15 ft flood waters. As expected, Sandy’s physical damage and human toll were great with over $65B reported in damage and over 100 deaths in the United States. Recent damage assessments have Sandy as the second most damaging storm behind Hurricane Katrina in 2005. Numerous states were declared to be in a state of emergency and large metropolitan areas like New York and Philadelphia suspended public transportation, highways and schools. While there’s no doubt the storm forever changed the landscape of the coast, resolute communities were quick to begin the rebuilding process which will take years to be fully complete. Severe Drought in the Midwest, while not immediately top of mind, has severely affected Americans for years to come. During the summer of 2012, a massive heat wave was responsible for the worst US drought in 25 years. Extensive property damage and human loss normally associated with natural disasters was replaced by a loss of crops, livestock and water supplies. Corn and soybean crops were especially hit hard which led to price increases in food products using these ingredients. Low winter snowfall numbers have extended the drought into 2013 with water restrictions a real possibility for drought-stricken areas of the country this summer. The drought is estimated to cost over $35B in the Midwest alone. May Tornado Outbreaks across the Great Plains and Midwest had millions of Americans taking cover as 150 confirmed tornados destroyed neighborhoods and property from May 18-31. The most powerful and deadly of these tornados was a 210 MPH, F5 cyclone that hit Moore, Oklahoma, resulting in 24 deaths. At its widest the Moore tornado measured 1.3 miles with damage estimates in Moore alone topping $2B. Other non-tornadic events accompanied the severe weather system including major hailstorms, landslides and flash flooding. 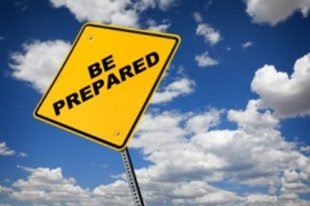 As the frequency and destruction of natural disasters appears to be increasing, Scientific Sales stresses the importance of following evacuation warnings and having a disaster response plan for any severe weather event. Interested in learning more about meteorological forces responsible for natural disasters? Our wide selection of professional instruments, weather stations and emergency weather radios may give you an early warning that may save you and your family.